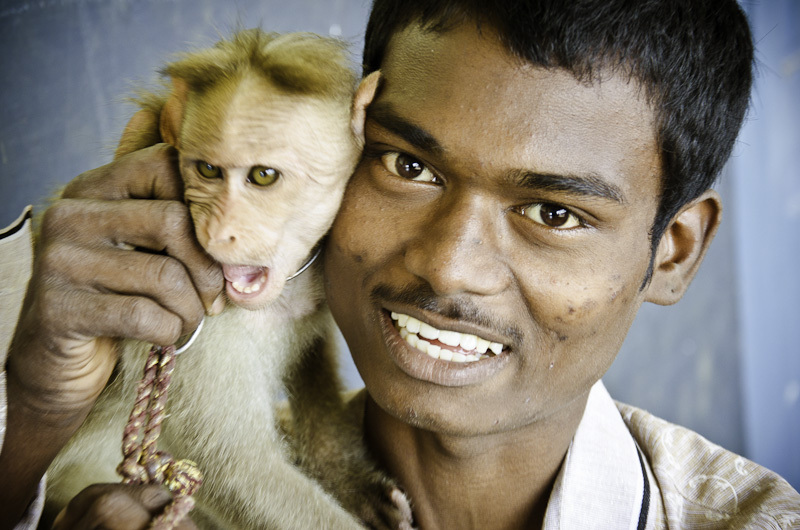 Originally from Vijayawada, Yesu is fascinated by monkeys, including Agea (pictured here). 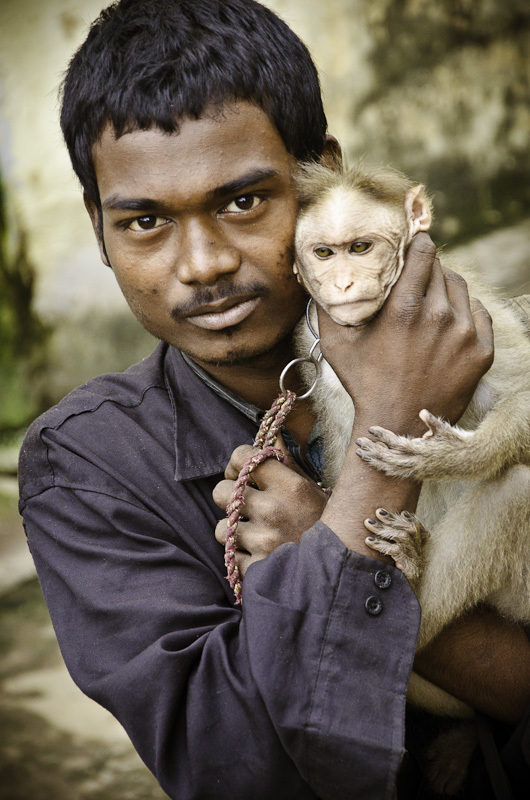 Each of his monkeys are fiercely protective of him. Ask us how we know.